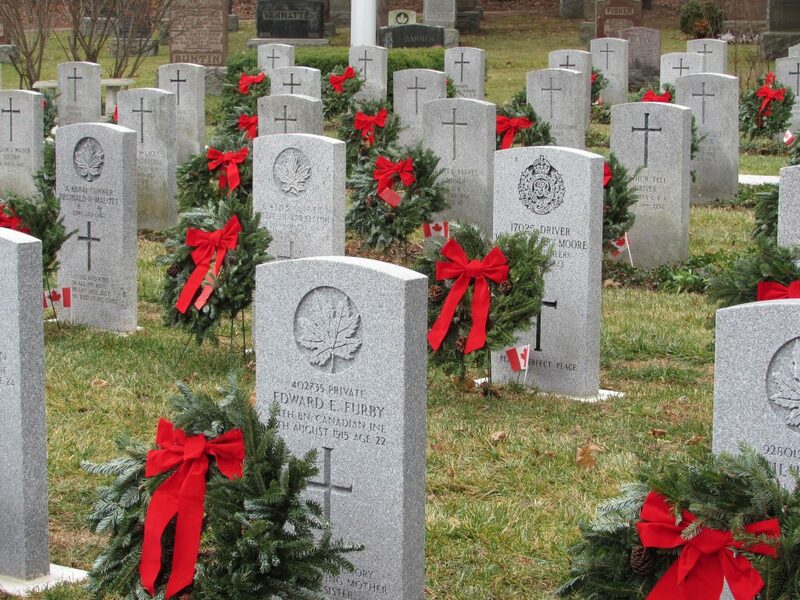 Woodlawn Memorial Park endeavors to place a fresh winter wreath for each of the more than 200 Veterans resting in our veterans areas, inspired by the Wreaths Across Canada initiative. This program is made possible through donations from our community. To make a donation, complete this form or call 519-822-1271 or visit the Cemetery office in person. Charitable tax receipts issued for donations of $20 or more and only if wreath recipient is unspecified.